Starting Monday, Feb. 4, 2019! This class is for the child who wants to be a healthcare professional when they grow up. 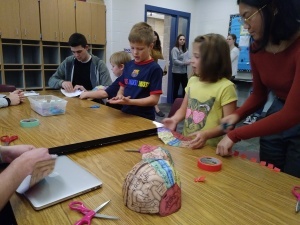 It will be a combination of nutrition and health lessons and activities taught by BYU students from the Dietetics After-School Program (DAP) and the Anatomy Academy Club on campus. These two clubs are combining their resources and efforts to create this class for our school. Children will enjoy the enthusiasm, passion, knowledge and activities that the BYU students share each week about their chosen fields of study. Kids will learn about the systems of the human body and how to take care of their body so that they can enjoy a full and healthy life. Learning about the brain. 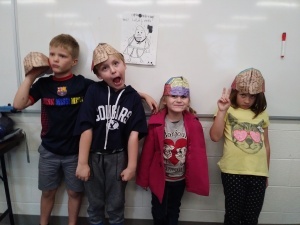 Putting on their thinking caps!